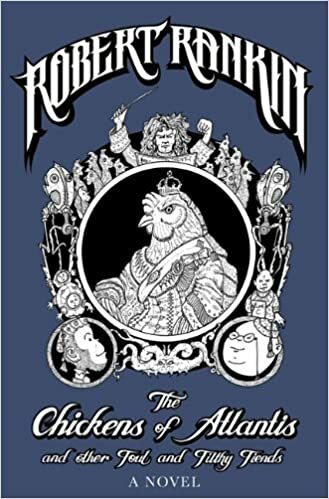 The Chickens of Atlantis and Other Foul and Filthy Fiends, by Robert Rankin – This is the fourth, and presumably the last, book in Rankin’s series of novels taking place in a steampunk Victorian England where War of the Worlds was true history. It focuses once again on detective Cameron Bell and educated monkey Darwin, who travel through time to prevent the plot of Bell’s old boot boy Arthur Knapton to rule in all times and places at once. The two of them visit ancient Egypt, World War II London, a future where everyone lives underwater, and even fairyland (which is accessible from Brentford). Winston Churchill, Aleister Crowley, and H.G. Wells all make appearances. There’s also an episode where Darwin and a street urchin who’s a distant ancestor of Rankin’s commit suicide and visit a country in the clouds with sky pirates. Kids having adventures after they die was apparently a popular theme back in the nineteenth century, as seen with another book I review in this post. As is typical for this author, there are a lot of inside jokes and comments by the characters themselves about how the plot doesn’t make sense. I do think there were some missed opportunities here, especially with the titular chickens themselves, who are built up without any real conclusion. Knapton’s final defeat is cleverly done, however. The House on the Borderland, by William Hope Hodgson – A cosmic science-fiction-styled horror tale published in 1908, it tells the tale of an old man who moves into a mysterious house in a remote part of Ireland. The framing story involves later visitors finding the man’s journal, in which he describes his bizarre experiences leading up to his death and the house’s destruction. He encounters images of gods and demons, malicious pig-like creatures who attack the house, and a vision of the end of the world. Did I mention this was a major influence on H.P. Lovecraft? There’s some interesting styling with the journal, in that parts of it are said to be illegible. It’s a pretty good and weird read, and not very long. 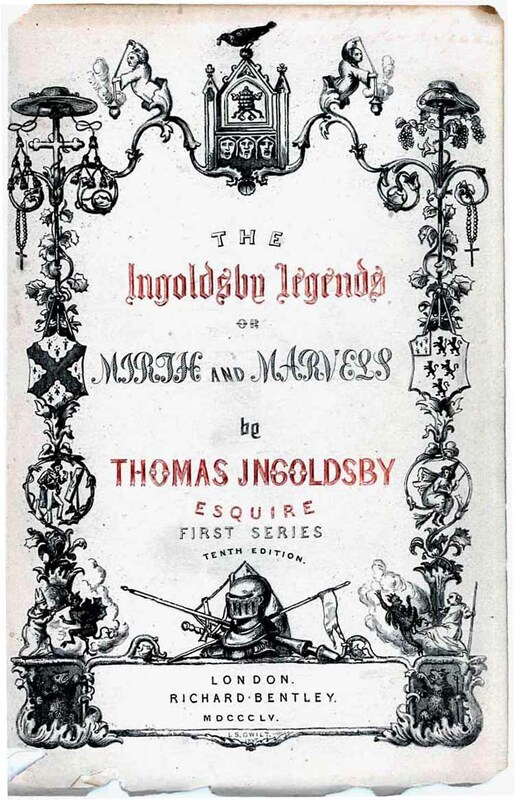 The Ingoldsby Legends, or Mirth and Marvels, by Thomas Ingoldsby – My wife came across a reference to this work in something she was reading, and said it sounded up my alley. Ingoldsby is actually a pseudonym, the real author being the English priest Richard Harris Barham. It’s a collection of poetry largely based on medieval legends, many involving ghosts and saints. I quite liked Barham’s style, which brought a lot of wordplay and meta-humor into the poetic scheme, including multilingual rhymes that were admitted to not quite rhyme. 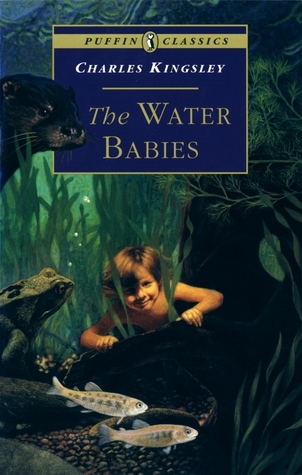 The Water-Babies, a Fairy Tale for a Land-Baby, by Charles Kingsley – This children’s story from the 1860s was very popular and influential in its time, but hardly anyone reads it nowadays. While I’m not sure I’d consider it a good story per se, it’s very interesting as a mix of social commentary, Christian morality, fantastic adventure, and even attempts to harmonize religion and then-modern science. The main character, Tom, is a young chimney sweep who drowns and turns into some sort of tiny baby with gills, then receives moral instruction from fairies symbolizing the Bible, and goes on a journey through ridiculous places to rescue his old master from eternal torment. Much of the humor holds up (well, at least for me), but there’s a lot of casual and not-so-casual ethnic caricature, much of it directed to the Irish. Kingsley was a Christian Socialist who believed in the superiority of the English, which seems a bit contradictory by modern standards. The novel was partially a criticism of child labor, but his idea wasn’t so much that it was unfair to children as that it left the children with no sense of Christian morality. That was kind of his attitude toward the Irish as well; they were bad people, but not really through any fault of their own. Kingsley was also a supporter of Darwin’s (the biologist’s, not Rankin’s monkey’s) theory of evolution, presenting it as a way God allows living beings to change themselves. He uses the idea of natural selection in a parable about lazy, self-centered people who gradually devolve into apes. There’s a heavy dose of naturalism in the book, but also some pure fantasy. In the final chapter, when Tom sets out to find Mr. Grimes, Kingsley pulls out all the stops in his satire of educational and scientific practices he didn’t like in a Swift-style tour of strange islands. He even specifically equates a place where children turn into turnips when being crammed full of facts for examinations (yeah, teaching to standardized tests has been a problem for a long time) with Swift’s Laputa, presumably forgetting that Laputa was airborne. Another place Tom visits, known as the Hub of Creation to its Spiritualism-obsessed inhabitants, is specifically given coordinates that make it just southwest of Australia; I’m not sure whether that was random or a joke I don’t get. 2010: Odyssey Two, by Arthur C. Clarke – Writing books set in the future can be difficult, as they have to take into account things that happen in the real world between one story and the next. 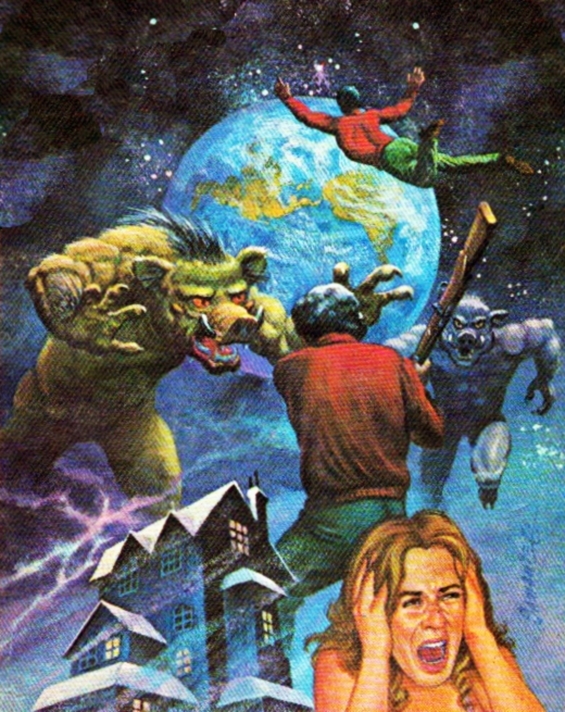 The sequel to 2001, written in 1982, incorporates not only actual advances in space travel (including the moon landing), but allows elements of the film to take precedent over those of the original book. Most prominently, this means David Bowman’s transformation into a star-child took place near Jupiter rather than Saturn. HAL’s creator reprograms the infamous computer, life is discovered on Europa, Dave becomes accustomed to his new life as an energy being, and we learn more about the highly advanced aliens who sent the monoliths to our solar system. Towards the end (and yes, this is a spoiler, although it’s so out in left field that I wouldn’t think it really ruins anything), interference by the aliens turns Jupiter into a small star, something I’m pretty sure didn’t really happen in 2010. This entry was posted in Astronomy, Authors, Book Reviews, Christianity, Education, Evolution, Fairy Tales, Humor, Jonathan Swift, Monsters, Philosophy, Poetry, Prejudice, Religion, Robert Rankin, Science and tagged 2010 odyssey two, aleister crowley, arthur c. clarke, bible, charles kingsley, europa, fairies, gulliver's travels, h.g. wells, h.p. lovecraft, jupiter, morality, richard harris barham, satire, the chickens of atlantis and other foul and filthy fiends, the house on the borderland, the ingoldsby legends, the water-babies, thomas ingoldsby, war of the worlds, william hope hodgson, winston churchill. Bookmark the permalink. The House on the Borderland is sitting on my to-read list, as part of an anthology series of William Hope Hodgson that I picked up. The Water Babies is another; I have a 1937 printing w/color plates that I’m anxious to crack open. The 2001 series I read years ago and have since lost all interest in, but I still enjoy Clark’s Rama series. I haven’t read any of the Rama books yet, but I’m planning to after I’m done with the Space Odyssey series. Out of the park again! Great read.